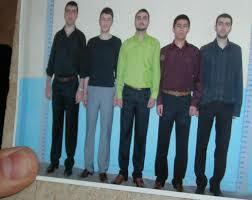 Convictions of Malatya Murderers but still no justice. But some good news. UPDATE: A Muslim background believer came to faith as a result of being affected by these brutal murders in his home town of Malatya 10 years ago-pray for his establishment in the faith. Pray these murderers will not escape justice! Please pray for churches in Turkey who are concerned about a legal review of the sentences handed down last year to those guilty of murdering three Christians in Malatya in 2007. Last week, a court upheld the life sentences for the five perpetrators – but prison sentences for two high-ranking military men accused of planning the murders were declared ‘invalid’ and in need of review. 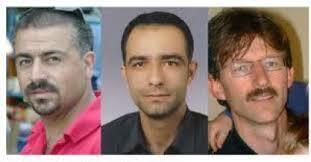 Pray for justice for the families of the three murdered men: Necati Aydin, Ugur Yuksel and Tilmann Geske. (Source: Middle East Concern) and for the conviction of those who masterminded the murders. On Wednesday (28 September), five suspects charged with killing three Christians (pictured above, left to right, Necati Aydin, Ugur Yuksel and Tilmann Geske) in Malatya in 2007 were finally convicted and sentenced to life in prison. There are conflicting reports as to whether these convicted killers are at large or re-arrested. Are we near the end of the trial of the murderers of Necati Aydin, Ugur Yuksel and German national Tilman Geske drags on 7 years after their brutal deaths? May the family and friends of the murdered men know peace. May the Christians in Malatya continue faithful. That all guilty will be convicted and some (DV) come to Christ. That judges and officials will hear the gospel and be drawn to Christ. Four of the five suspects on trial for murdering three Christians in Turkey’s southeastern city of Malatya in 2007 have named the fifth suspect as the sole killer. The four men, now in their late 20s and each facing three consecutive life sentences, made their final defence appeals in court on 9 September (which was the 107th hearing in the eight-year long case). The trial of the murderers of Necati Aydin, Ugur Yuksel and German national Tilman Geske drags on 7 years after their brutal deaths. The trial is into it’s 70th hearing. Pray for conclusion and justice.The three men were discovered bound to chairs by their hands and feet; each of them had been brutally stabbed and had their throats cut. Ugur was still alive when they were found but died later in hospital from his many wounds. The three martyrs-Necati, Ugur and Tilman. Their trial opened in November 2007, and there have been 38 hearings since then but no verdict in the case. It has been complicated by attempts to identify those who instigated the murders. In its 2012 annual report, the United States Commission on International Religious Freedom (USCIRF) named Turkey as one of the world’s worst violators of religious freedom. Among the concerns raised about the country were “the delay of trials through lengthy procedures and the lack of convictions on some high profile cases”; the Malatya case was named as oneof them. The shocking crime attracted high media coverage, and Tilman’s widow, Suzanne Geske, was interviewed on Turkish television shortly afterwards, where she expressed her forgiveness of her husband’s murderers. The couple had three children. Necati was also married and had two children. Ugar was engaged; his fiancée has since married another Christian man. Please pray for the conclusion of this trial and justice to be done . Church leaders cannot train in Turkey. It is almost impossible for churches to register officially-so people meet in unregistered house groups. Pray for the victims families. Susanne Geske, Micah, Lukas and Miriam. Semse Aydin, Elisha and Ester. For legal counsel who have been threatened. For training of church leaders. For the Lord to strengthen His people nationwide all at risk and despised. ICC Note: Now six years removed from the brutal murders of three Christians in Malatya, Turkey, new evidence has been uncovered that provides additional support to the belief that the killings were part of a larger plot. The documents are believed to show that the murders were part of a network within the Turkish military and security forces that was aimed at discrediting Turkey’s ruling AKP party and creating the feeling of instability in the country. 09/26/13 Turkey (World Watch Monitor) – Nearly six years into the court trial over the murder of three Christians in southeastern Turkey, documents have emerged confirming that secret military units were involved in those assassinations and others. Good Friday, April 18, marked the seventh anniversary of the murders of Necati Aydin, Ugur Yuksel and Tilmann Geske, who were viciously killed in 2007 in the offices of a Christian publishing house in Malatya. During graveside services held in remembrance of the victims, the Muslim family members of Ugur Yuksel, a Christian convert from Islam, cordially accepted a gift of a New Testament. A new law passed in February allowed the release of the five men accused of the murders, but the men have to wear electronic monitors until their trial resumes in June with a new judge and jury. Believers have noted a positive change in the way Christians are treated, saying they are more readily accepted as part of Turkish society.